On a secluded stretch of white sandy beach, the Melati Beach Resort & Spa is home to 77 luxurious suites and villas. Guest rooms are decorated with an elegant ambience and set among tropical landscapes with many rooms featuring their own private pools. Guests can enjoy an array of dining options, including a beachfront restaurant with international cuisines and an authentic Thai restaurant where you can dine in a private romantic setting on the beach. The resort is also home to two swimming pools, as well as a range of activities such as snorkelling and diving, perfect for those wanting a more active holiday. Yoga classes can also be arranged, as well as cultural and discovery tours. Breakfast daily (from 06:30 to 10:30), lunch and dinner (3 courses meals, consisting of starter, main course and dessert) from menus offered either at The View (all day dining restaurant) or Kan Sak Thong Thai Restaurant (fine dining restaurant open for dinner only). Guests may join the Theme Buffets, with the exception of Seafood Buffets and "Dining Under The Stars" menu. Some dishes marked as "Special Dishes" and "Chef Recommendation" at Kan Sak Thong and The View are not included in All Inclusive. Open bar from 10:00 until 22:00 at both the Pool and Beach Bar and during meals - including house brand alcoholic beverages and domestic beers, soft drinks and ice cream. (Please note: wine is not included). 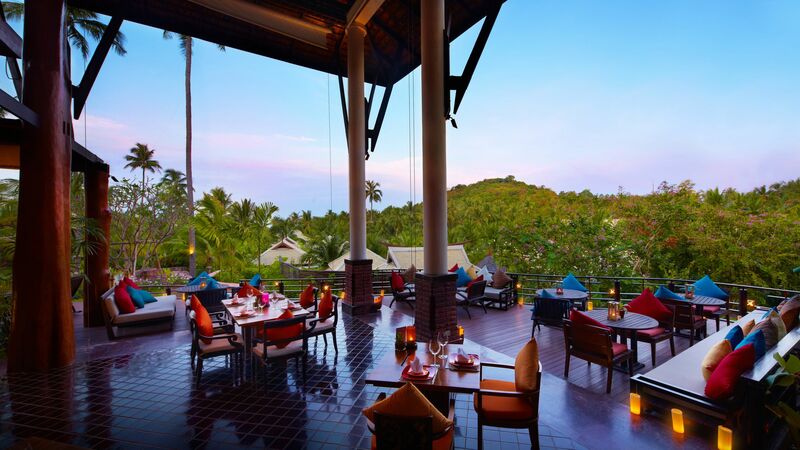 Serving the finest Thai cuisine, Kan Sak is set adjacent to the resort's waterfall and explores interesting culinary practices, as well as offering Thai French Fusion Cuisine from an international team of chefs. 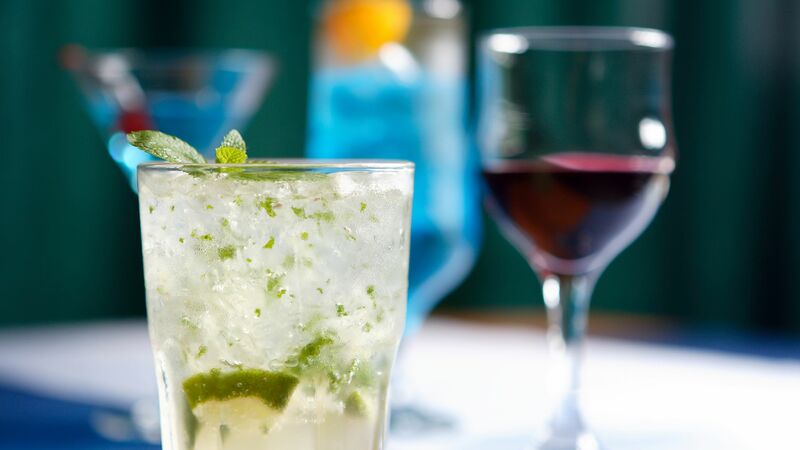 Renowned mixologist Josep Boroski is the mastermind behind the delicious concoctions at The Sea View Bar, where guests can be found sipping on cocktails on a hot day. Enjoy light snacks among the stunning scenery at this ultra-cool spot. Right on the beachfront, The View offers all day dining, starting with a hearty breakfast buffet of eastern and western specialities. For a morning treat, make fresh orange juice on Melati Mornings and for a romantic evening, dine in candlelight. Relax amid the palm trees as you listen to the waves lapping the golden sands of the beach. Guests can also enjoy loungers, a towel service and more at the Melati Beach Resort & Spa’s beach. The stunning lagoon style beach pool is surrounded by palm trees and includes a swim-up bar. Complete with a stunning Sanctuary Pool with dramatic evening lighting for a perfect night. A smaller children’s pool is also available. A range of luxury Thai based treatments is on offer at Melati Spa, including facials, scrubs and wraps using natural products including coconut and jasmine. A nail care salon is also on offer, as well as a beauty salon. Take part in Thai cooking classes, Thai Boxing, pilates and much more at the Melati Resort, where guests can get stuck into exciting daytime activities. Aqua aerobics and bike hire can also be arranged. An old tourist favourite, Koh Samui is Thailand’s second largest island and can be found off the east coast of the Kra Isthmus. Renowned for its palm fringed beaches and coconut groves, as well as its many luxury hotels, Koh Samui is well located for those looking for lively bars and restaurants, with plenty of options for fine dining and late night bars. Further along the coast, Bophut can be found to the north, and offers a village feel, with lots of small cafés and restaurants to explore. Those wanting to pick up some authentic trinkets will love the shops dotted around, selling local arts and handicraft. 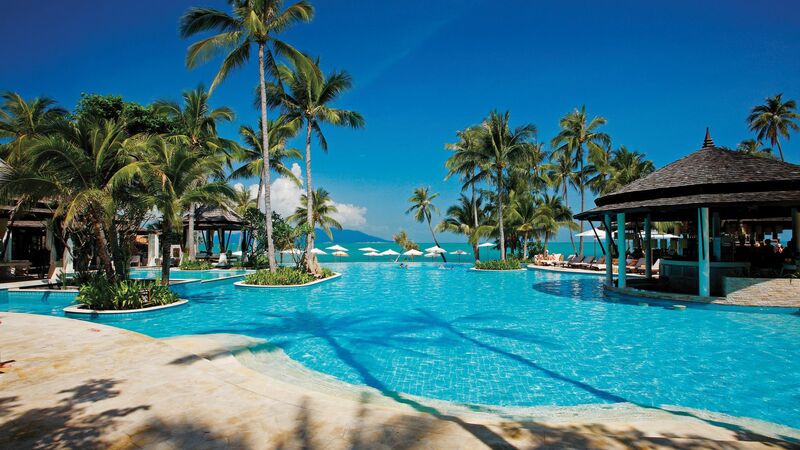 Melati Beach Resort & Spa is 10 minutes from Koh Samui Airport. Family Pool Villas are very spacious, boasting a master bedroom with a dressing area and bathroom featuring a bathtub and shower. The living area converts into a second bedroom and has an outdoor bathroom overlooking the garden. The villa has an outdoor private swimming pool with sundeck and sala. Grand Deluxe rooms feature either a king size bed or two twin beds. The rooms are very spacious between 77-95m² and are either located on the first or second floor. The first floor rooms have direct access to the garden courtyard. Pool Villas are set around the ancient pool in the middle of the property, they are approximately 143m² with private plunge pool and outdoor shower. These villas have a king size bed. Private Garden Pool rooms are approximately 143m² and are elegantly designed with a private plunge pool, sala and outdoor shower. The bedroom offers a king size bed. Save up to 25% on the hotel price for holidays between 01 - 09 April, 26 April - 31 May and 25 August - 20 December 2019 booked by 28 February 2019. Guests staying in a Private Garden Pool will receive a complimentary upgrade to a Pool Villa and guests staying in a Pool Villa will receive a complimentary upgrade to a Pool Villa Suite, subject to availability on holidays with a minimum duration of 5 nights between 01 -31 May and 01 October - 20 December 2019 booked by 28 February 2019. Save up to 15% on the hotel price for holidays between 07 January - 31 March 2019 booked at least 90 days prior to arrival or save 10% booked between 45 - 89 days prior to arrival. Stay for a minimum of 14 nights between 07 January - 31 March 2019 and receive a free dinner per person per stay (based on a set menu, beverages excluded). Well it?? ?s nearly time to check out of the Melati Resort and Spa and we are dragging our heels. The wonderful food, terrific theme nights and fantastic location, perfect villas with private garden pool. Heaven away from home. All these wonderful things can only be outdone by the lovely caring and attentive staff. The friendly greetings each day by Tup, Koo-kai, Best at the pool bar and View restaurant make the start to our day wonderful. Although they are all friendly and kind so too many to mention all names, shows wonderful customer service and terrific leadership of the wonderful team by the likes of Alexis and Nick. Thank you for a wonderful holiday. We will be back.?????? I cant say enough about this gorgeous resort. It keeps bringing us back, this being our 3rd stay and we also bought some family with us on this trip. They equally loved The Melati as much as we do. Everyone from the airport transfers,reception staff, housekeepers, garden staff, chefs,food and Beverage staff, pool staff, spa staff make our holiday so special, they are all so friendly and want to help you in anyway they can. Both restaurants are fantastic with such tasty food, we also were surprised with a romantic dinner on the beach, this we highly recommend, so pretty and the food was stunning. The villas are so spacious , comfortable and quiet . Every time we leave The Melati it leaves us wanting to come back and we will. Our fourth time staying at the Melati resort. Friendly staff and outstanding facilities. Highly recommend the resort, restaurants and specially the massages. The breakfast options are well worth exploring each morning.